#6-06 Compact antique Brunswick pool ball rack suitable for use as a compliment to many early models of antique pool tables. Victorian design, solid oak construction with medium brown finish. 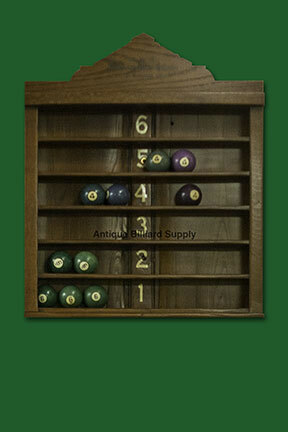 Six shelves to display vintage billiard balls or other memorabilia.